Trump Burns Natural Gas Bridge… Film at 11. | Watts Up With That? Trump Burns Natural Gas Bridge… Film at 11. Liberal arts types spouting nonsense about energy and climate science are like batting practice pitchers. From the High Country News, and the author is clearly high on something. Jonathan Thompson is a freelance journalist with a B.A. in modern history. He clearly is clueless about natural gas production, the energy industry, running a business or anything else that is functionally useful. Natural gas has an Achilles’ heel: When it is sucked from the earth and processed and moved around, leaks occur. The main ingredient in natural gas is methane, a greenhouse gas with 86 times the short-term warming potential of carbon dioxide. “Leaks” are fixed if it makes economic sense. A rule requiring the repair of “leaks” which doesn’t make economic sense, would lead to gas wells and pipelines being shut in. The methane rule was not only a punishment, it was a moronic punishment that could only be conjured up by people with no functional utility to society. Only an idiot would think that businesses need the government to tell them fix things when the repairs make economic sense. Meanwhile, the death of Interior’s methane rule on Tuesday will add another half-million tons of pollutants to the air. In the process, it will erode the pillars of the once-vaunted natural gas bridge. Obama was the first president in US history to complete two terms in office, during which real GDP growth never reached 3%. Since 1985, US electricity consumption has increased in every year in which the economy grew by 3% or better. During the 8 years of the Obama maladministration, real annual GDP growth averaged 1.9% and electricity consumption declined by an annual average of 0.1%. 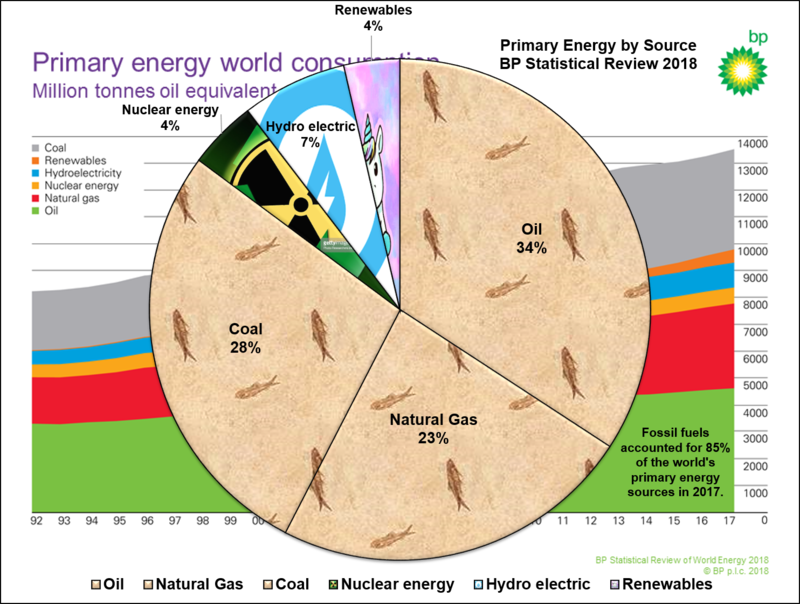 Sources: BP 2018 Statistical Review of World Energy, Federal Reserve Bank of St. Louis. The US EIA forecasts that electricity demand will rise from 2018-2050. U.S. primary energy consumption 2017-2050. “Other renewable energy” includes wind, offshore wind, solar PV, solar thermal, geothermal and several other bit players. US EIA. Projected mix of generation technologies (2017-2050). Naturally, my bet is on “high oil and gas resource and technology.” “Renewables” includes hydroelectric. US EIA. 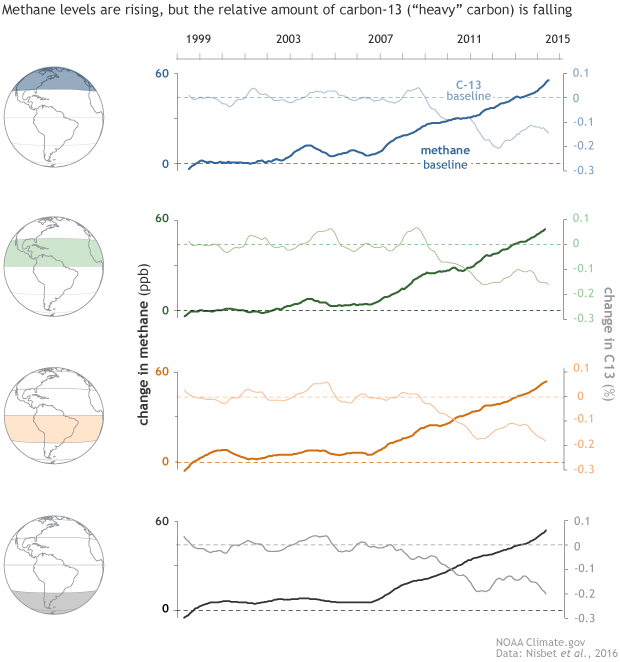 There is no evidence that leakage from natural gas drilling, production and transportation operations is significantly contributing to the rise in atmospheric methane over the past few years. As if that’s not enough, the 63% of the reduction in US CO2 was due to switching from coal to natural gas. To the extent that natural gas is a bridge fuel, the pillars are stronger than ever. Natural gas as a “bridge fuel” to nuclear power, particularly fusion power, is a concept worth exploring. Natural gas as a bridge to unicorns is “a bridge to nowhere. I think this is my new favorite graph… And I have a lot of graphs. If there actually was a need to fight climate change and modern historians were serious about fighting it, they would be pursuing an N2N strategy (natural gas to nuclear). The fastest, most cost effective, way to reduce carbon emissions would be to transition from coal to natural gas and nuclear power. Unless modern historians are incapable of basic arithmetic, I have to assume that their true motive isn’t saving the world from climate change. which means that is was slightly less than 0.02% in 2008. It’s easy to have a 70-fold increase when your starting point is barely above zero. Imagine the percentage increase from zero to 0.02%! The primary purpose of the “methane rule” was to inhibit growth in production, not “pollution reduction”. The green blob opposes anything that might actually work to sustain industrial society. If I remember well, δ13C levels of methane are around -40 per mil δ13C, thus -39 is “heavier” in 13C and -41 is “lighter” in 13C… In this case “heavier” and “lighter are quite relative. Do you have figures about the δ13C levels of CH4 from facking, compared to direct wells and biogenic CH4? 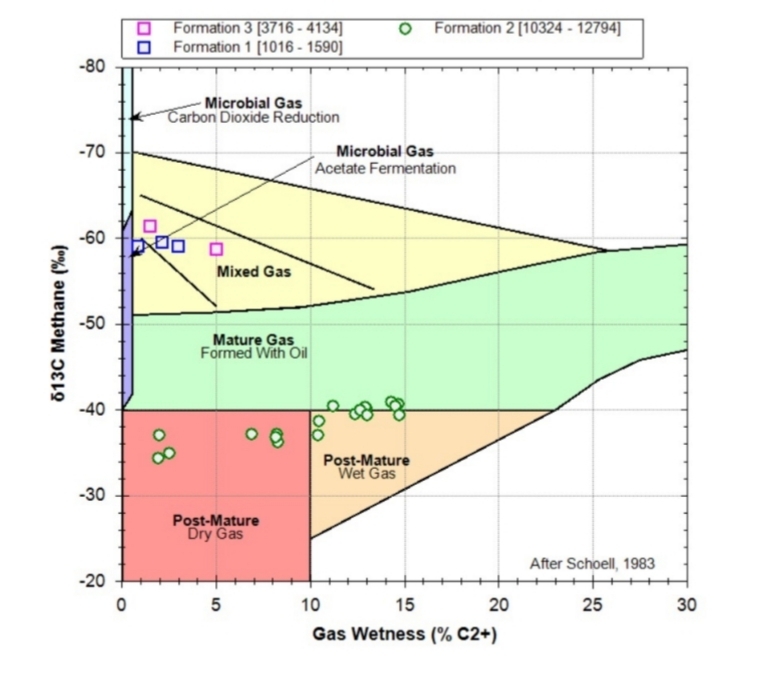 I don’t have the data from that study, but δ13C depletion decreases with thermal maturity of natural gas. Biogenic methane is more δ13C depleted than thermogenic methane. The vast majority of natural gas production is thermogenic methane. In addition to his other idiocies, Numnutz Thompson seems to believe that CO2 is “dirty”. This happens when you begin to believe your own lies. A dangerous habit. All these discussions miss the point. The chemicals — oil, methane, natural gas, and coal — are out there in the environment! They need to be cleaned up. We need to get these compounds out of the ground and… I don’t know… incinerate them somewhere. The Brit’s do have a talent for Pythonesque humor! I endorse Jonathon Thompson for a job as a telephone sanitizer on the B Ark. Except Clarke was a Kiwi. David – it is so good to read something that makes good old common sense. Living in the now blue state of New Jersey where the state wants to be just like California, the nonsense is tiring. Too any “Jonathan Thompsons” teaching our students and legislating our laws. Thanks for the laughs! Limiting atmospheric CO2 to 400 ppm is a non sequitur. The planetary biome is entirely dependent on abundant atmospheric CO2 gas, the essential plant food for all earthly flora. 400 ppm/vol is barely adequate. 1000ppm/vol is much better, for plant growth and drought tolerance! Feed the Plants! Feed ‘Em! There’s a reason commercial greenhouses like to keep the CO2 levels around 1200-1600 ppm. It’s the optimum range for plant growth. Yes, and I would point out that it is not that plant growth would be inhibited above 1600 ppm. It is just that other factors limit additional growth so that adding any more CO2 to the greenhouse adds cost without significantly improving yields. It’s the optimum from a cost-benefit point of view and depends on the value of the produce. 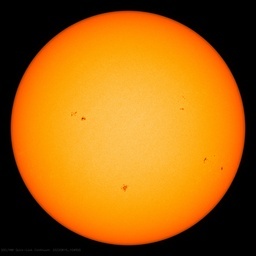 Now given that fossil fuel burning in all of history has raised CO2 by 130 ppm and we would need to add 790 ppm just to get to 1200 ppm, what are the prospects that we could ever get the atmosphere anywhere near the low end of commercial greenhouse operations? We need to find and burn 6 times the fossil fuels that we have burned up to now. This was after Obama changed the way GDP was calculated, to try to improve his anemic economy. US GDP now includes R & D, artwork, and other intangible assets. Obama did the same thing when he re-defined how “deportations” are calculated. Prior to his administration, deportation numbers were based on actual deportations. Under Obama, the numbers were estimated, including people turned back, but not processed, and people estimated to leave voluntarily. Any Obama-administration changes in calculating GDP didn’t change the result much in his favor, as evidenced by the 2009-2016 average of 1.9% annual growth rate accomplishing a substantial reduction of unemployment. The previous 8 years had average annual growth rate of 1.8875% and a substantial increase of unemployment. I remember during the Clinton administration when it was said that GDP needs to grow at an annual rate over 2% to decrease the unemployment rate. I remember from before then that annual growth rate of 3% can avoid excessive inflation and maintain low unemployment, and unemployment as low as 3% can be achieved without excessive inflation (before the inflation troubles of the early 1970s). And in Clinton’s first term, many economists doubted unemployment can be reduced below 4% without excessive inflation, and some economists said unemployment dropping below 5 or even 6 % would cause excessive inflation. Notably, 1993-2000 had average annual GDP growth of 3.8125% and lack of excessive inflation, with unemployment achieving a post-1975 low well below 4% that has yet to be improved upon. had to look up “burgeoning” ! the last time I checked the revisions. in the first year of his first term. I don’t understand this requirement for any sort of “bridge”. Use whatever is economically most effective. This varies from place to place and is based on supply and transportation costs. We should get rid of all government incentives and disincentives. When coal and oil and gas “run out” or get too expensive to extract then movement will take place to nuclear and maybe even solar or wind but to until then. Any government planning or direction toward an unknown and unknowable future is destined to be a disaster. Even if, for the sake of argument, you accept that a bridge is needed, they insist on bridges to nowhere, rather than the only bridge that could actually work. “bridge to nowhere’, nice catch! Actually forgot that one. why is wordpress refusing to accept their own login? I’m fine with a bridge to unicorns as long as we only build the natural gas side of the bridge. And if we end up with a pier that supplies all our energy that’s fine too. David, GDP avged 1.9% and that includes the inflated “contribution” from bloated government. It’s a tough job to hold the American economy back from growing, but throwing billions out the door subsidizing Gang Green energy, Gobbels warming Research and tying industry up with punitive regs, bailing out Wall Street snake oil salesman, and making energy “necessarily” skyrocket, is a start! Why is wordpress dumping every other comment? Why have we got to enter our usename and password over and over and over and over? They obviously just don’t like you. I think WUWT has been hacked by the green scum, hence no edit or voting functions, and the need to re submit username & password every time. Go on Anthony. A minor inconvenience. I’ll post regardless! an overactive six year old. 2hotel9, this site is under constant attack by commie-hackers. It takes strong effort just to keep it running under these conditions. This is the reality nowadays. Been seeing this at other sites which use wordpress, seems to be an issue with them, disqus was having same kind of issues a few months ago. Inflation is at 2.7%. Is that growth worth reporting. Net result is that the lowest 50% of society loose. How fast are wages rising for that sector. With a trillion dollar budget deficit this year. Sounds like the same logic as global warming theory – circular. And the full effects of trade tariffs have not kicked in yet. Real GDP growth is adjusted for inflation. And the Labor participation rate has been increasing, meaning all those people who gave up looking for work back during Obama’s reign, are now finding jobs. “Liberal arts types spouting nonsense…” – is nonsense more palatable when delivered by certified technocrats and phDs? It’s just less like batting practice and more like a real ballgame. The “methane rule” was ignorant to begin with — just empty virtue-signalling. Any gas company/power plant, etc, is ALREADY looking for and repairing leaks as a matter of good business practices.